Correia Guitarra RightOn Brian Brown. Cor: Brown. Brian strap is simple and very comfortable to wear and also to save for their flexibility. Its touch is incredibly soft. Combined with any guitar or bass thanks to its neutral color. 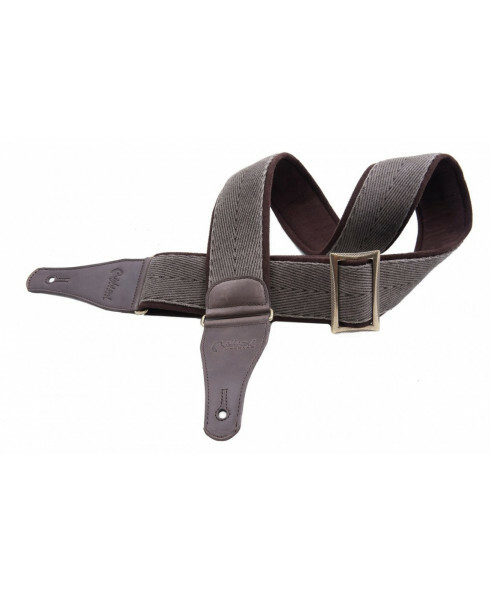 Brian strap is simple and very comfortable to wear and also to save for their flexibility. Its touch is incredibly soft. Combined with any guitar or bass thanks to its neutral color. Brian is made with a soft cloth and skin tips are of the highest quality. It has a buckle to regulate its length ranging from 90 to 150cm. Measures 6cm wide. The microfiber inner lining keeps a low density latex to improve comfort and prevent slipping with sweat. All straps Righton! are designed and manufactured in Spain. Tri-glide adjust system. 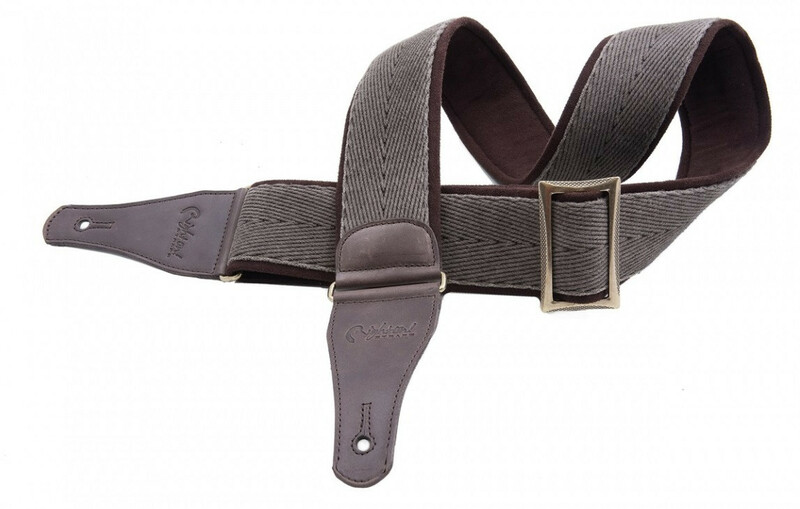 Adjust the length of your strap with a simple and practical system of sliding. Probably the most classic and used length adjustment system.